Pepper's Lounge - December 6th, 2002. 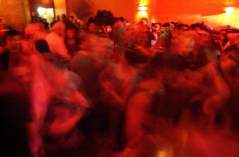 The second El Baile de las Rosas, hosted by José Cruz and Razz M' tazz dance company, was celebrated at Pepper's Lounge in New York City on December 6th, 2002. These photographs were taken at the event by J. Fernando Lamadrid. All photographs on these pages are copyright justsalsa.com NYC 2002. All rights reserved. Your feedback is welcome.